Hello Everyone! Day 5 here and I am going strong. This is no easy thing this time of year but I am giving it my all. 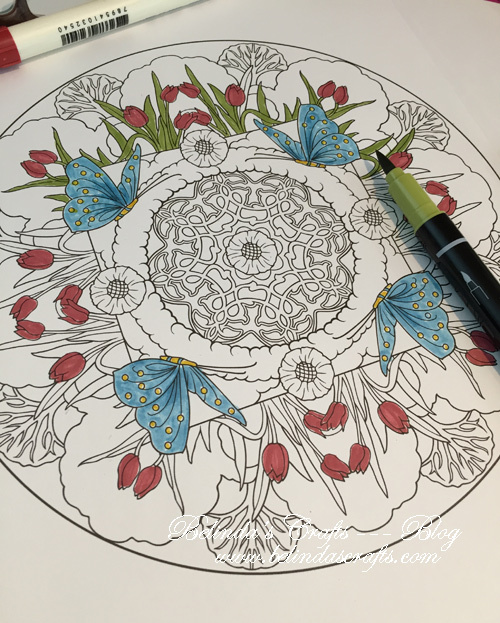 Today, I was once again inspired by Kathy and pulled out my newest coloring book I had bought a few weeks back from Barnes and Noble on the bargain table. 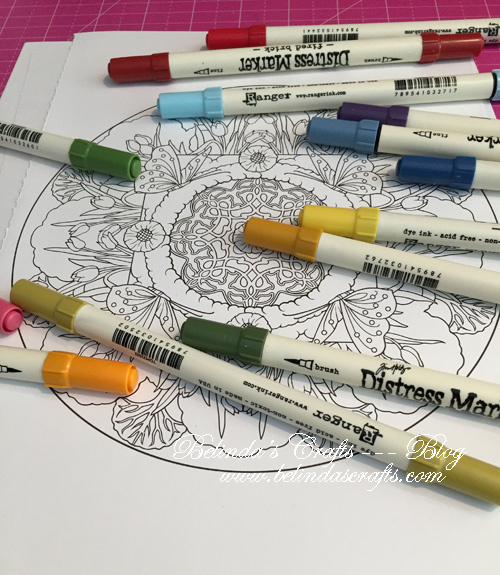 It has all sorts of Mandalas to color and I have been fascinated with them for years and thought I would give it a go. The paper quality isn’t the best for my copics so I used my Ranger distress and StampinUp markers. They do seem a bit daunting at first but once you start coloring it’s not so bad. It’s just picking the initial colors that took a few minutes. Of course it helped that I have a limited number of distress and stampinUp markers. Nothing like my Copic collection that I love so much. I chose this one to color first because it had butterflies in it. I don’t think you have to finish these in one sitting and although I would like to, I have other work and I had to post this so I stopped here. I will be sure to share the final piece. 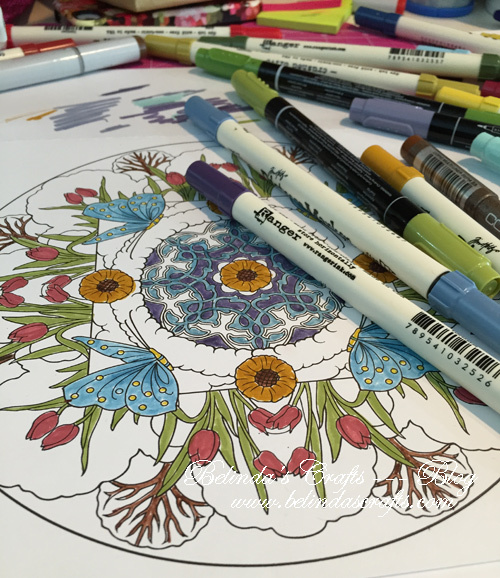 Happy coloring and have a blessed weekend!! Do I see butterflies in the picture you chose?? ?